Coconut milk and coconut cream are sometimes called for in recipes such as curried dishes, drinks, salad dressings and so on. Coconut milk can be made by combining equal parts water and shredded fresh or desiccated coconut meat and simmering until foamy. The mixture is then strained through cheesecloth, squeezing as much of the liquid as possible from the coconut meat. The coconut meat can be combined with water again for a second, diluted batch of coconut milk. Coconut cream can be prepared in the same manner, using 1 part water to 4 parts coconut. Milk can be substituted for water for an even richer result. 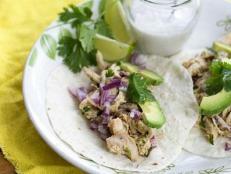 Discard the coconut meat after making these mixtures. 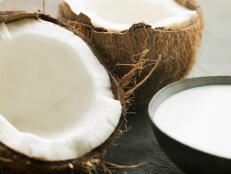 Canned coconut milk (regular and reduced-fat versions) and cream are available in Asian markets and most supermarkets. Do not confuse sweetened cream of coconutused mainly for desserts and mixed drinkswith unsweetened coconut milk or cream.